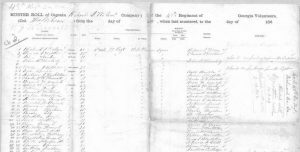 The State of Georgia Archives has made available online their Civil War Confederate Muster Rolls. In the search box at the top, you can place a surname and a list of digital muster rolls will appear with the Battalion, Regiment, and Unit along with the full date of that listing. 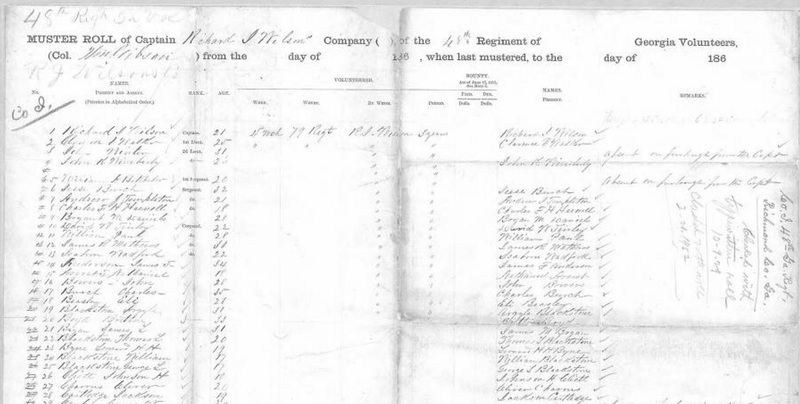 Muster rolls are listing of those soldiers in the unit as of the date taken. Click on a selection and it can be then enlarged so you can read the full sheet better. You will see the names on the left then their rank. The officers are first and then the lower ranks. Those soldiers not present may have been sick and in a hospital or on leave (furlough), but it will be stated why they are not present. What can be of special interest is learning another spelling for a given or surname or a middle name. Some images will be very clear to read, other very poor. Download the images of interest, lighten or darken as needed and continue to zoom into ready the listings. Reminder, a person can appear on numerous muster rolls over a period of time. Plus as you view the first page of a muster roll, there could be an additional page #2, so examine that one also. The information will vary for each, some even listing when the person enlisted, their pay amount and when they were last paid. A soldier could have been from a neighboring Confederate state but choose to join the Georgia troops for any number of reasons. So do check any ancestor who may have served for the Confederate Army even if they were not from or lived in Georgia. 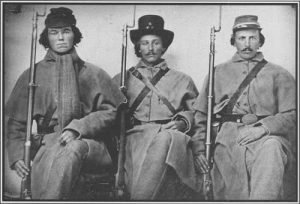 Photos: Photo of 3 CONFEDERATE SOLDIERS OF COMPANY D, 3RD GEORGIA INFANTRY; 48th Regiment Volunteers Infantry Co. 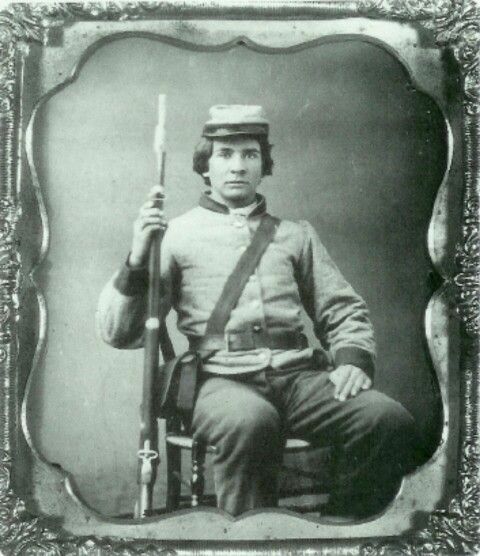 I on March 4, 1862; 2nd Regiment Storey’s Co. B on Jan. 31, 1864; Pvt. 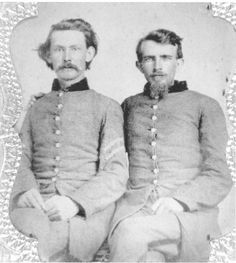 Marshall Mercer Sims Co. B, 27th Battalion Georgia Infantry, 1863-64 and Corporal William A. Graham (left) and Private Joseph Bynum of GA Company H.